Otis B. Driftwood is a business manager for a wealthy socialite, Mrs. Carpool, who plans to donate a large amount of money to an opera company. 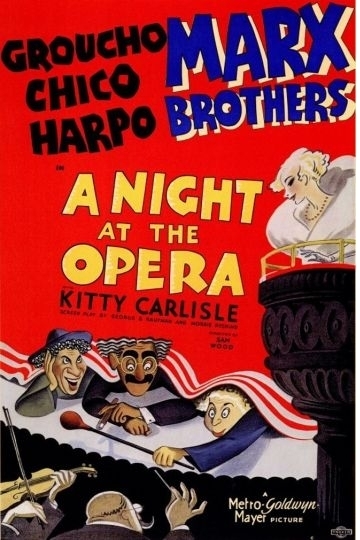 A series of miscommunications and mistaken identities fuel this farcical look into the business of opera productions. And when the events get too far out of control, even more must be done to sort everything out and set them out. A Night at the Opera is currently available to watch and stream, buy on demand at Amazon, Vudu, Google Play, iTunes, YouTube VOD online.